Journalists and experts from Canada and the United States paid a visit to Poland on 12-16 November 2018 as part of the ‘Meat with European quality’ campaign. During their stay, they visited leading meat processing plants and took part in a seminar for European producers and exporters. The aim of the seminar, which took place on 13 November 2018 in Warsaw, was to provide European manufacturers and exporters with specific knowledge about the Canadian and American markets in order to increase their opportunities for cooperation in both markets. Sophie Soudai, an international trade expert from AGL, gave a lecture on the requirements of U.S. law regarding the export and import of food products, in particular meat. In the second part of the talk, she referred to Canada’s requirements in this area. Sam Gazdziak, editor-in-chief of the “Independent Processor” industry magazine, gave a speech on the consumer preferences of Americans and marketing strategies adopted by food producers in the USA. He also presented the case study of a successful strategy of Irish producers promoting the “Irish beef” brand as premium meat. Andrew Joseph, editor of the “Food in Canada” industry monthly magazine, discussed how consumer trends in Canada have developed in recent years. 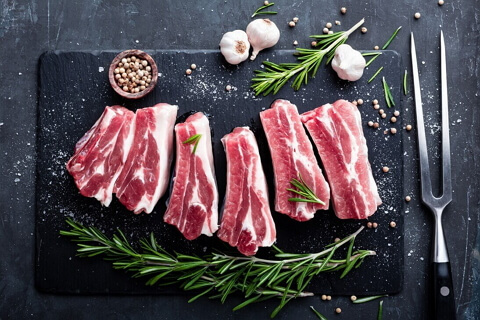 In his speech he also presented the most famous and successful promotional campaigns of meat products, trying to answer the question of what kind of meat customers are currently looking for. The seminar has been made available online; the recording can be viewed on the “Meat with European quality” channel at the following address https://www.youtube.com/watch?v=KM7fP2fQkyk. We invite you to familiarize yourself with the material. Journalists conducted interviews with representatives of the General Veterinary Inspectorate, the National Support Center for Agriculture and European producers of pork and beef. During the following days, the delegation was able to get to know in practice the European standards for the production of pork, beef and meat products by visiting meat processing plants. Guests from Canada and the United States were presented with the food safety and quality standards applicable in the European Union. The quality of European meat production was also the subject of discussions with UPEMI Managing Director Agnieszka Różańska, who accompanied journalists while visiting the plants.